It's easy to generate a lot of photos and video clips with GoPros. But sorting through it all to find the keepers can be tedious. Fileloupe aims to speed things up. 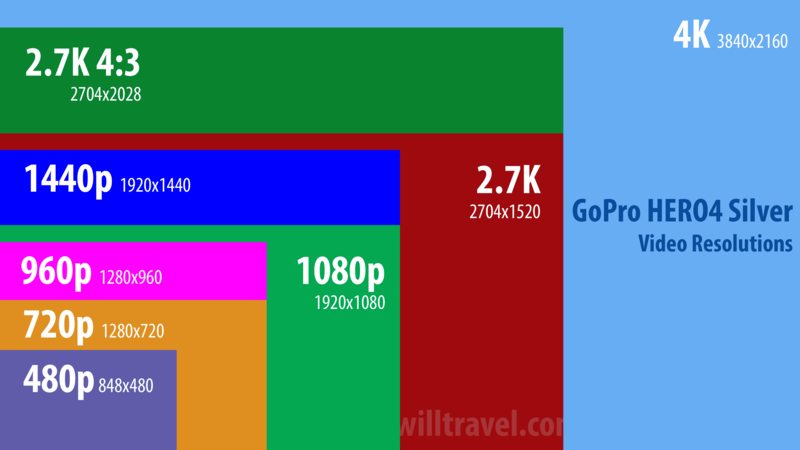 It's pretty easy to generate a lot of photos and video clips with GoPros. And because so much of it is shooting essentially blind or bracketing a few seconds of key action with minutes or even hours of garbage, it can lead to a lot of tedious filtering, sorting, and selecting of the individual photos or clips that are the keepers. For my photos, I typically use a combination of Lightroom and PhotoMechanic. They're both powerful pieces of software, and each has distinct strengths. But they're also complicated and not exactly cheap. And, especially in Lightroom's case, they can be a bit slow and cumbersome in working with videos. Sometimes what you want is something lightweight and fast. That's precisely what Fileloupe aims for. It's a Mac app for previewing and browsing media files (I mean media in a broad sense, since it also works with files like PDFs). It's designed to be lightning fast so you can sort through large numbers of files very quickly. When the developer, Corduroy Code, offered a review copy, I was very curious to see how it performed. Fileloupe isn't only for GoPro users, and it isn't even designed specifically for photo and video files. 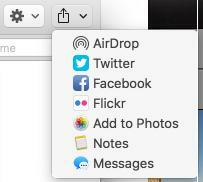 Because it piggybacks on OSX's own file support, it can work with pretty much anything that OSX can work with (including most RAW image formats). That's not to say that it can natively generate thumbnails and previews for all those filetypes--some require third-party plugins for that. But it has features that are especially useful to GoPro shooters--or photographers or videographers using other systems, for that matter. And it's that kind of use I'm focusing on here. When you first open Fileloupe you're presented with what amounts to a fancy drag and drop area. The default view is a thumbnail grid browser. 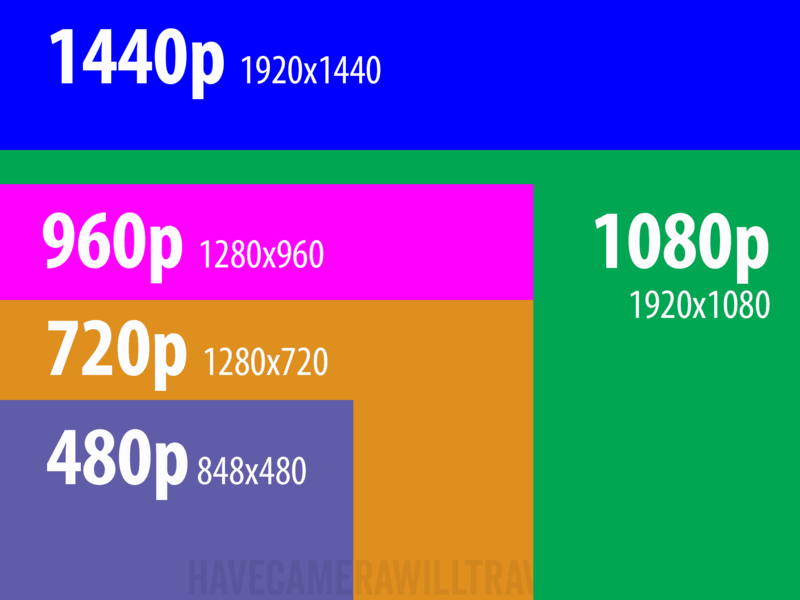 You can increase or decrease the size of the thumbnails. And there are several ways to filter and sort, from all items to just images to just movie files. 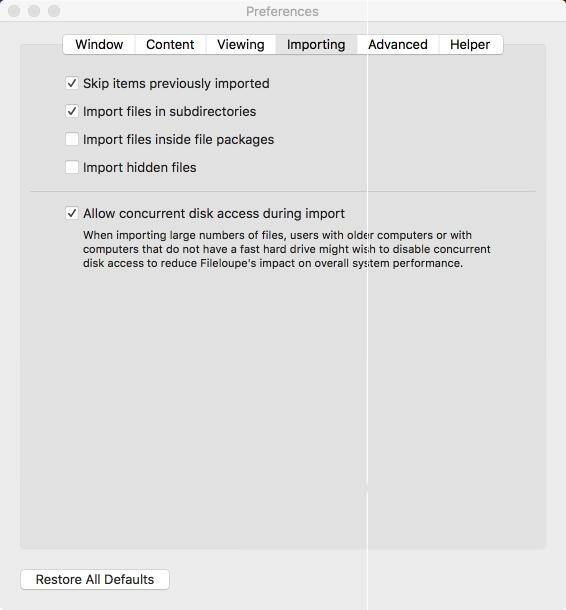 The list of file types that displays there will depend on the types of files that you've imported. And using the search filter at top right, you can apply the filter to all or part of a filename. There's also a sorting function, where you can sort by the usual things like filename, date, etc. You can get a larger view of individual items by changing to the split view. And, finally, there's the viewer mode that removes the filmstrip from the bottom. If you want to also remove the toolbars from the top, you can put it in focus mode. 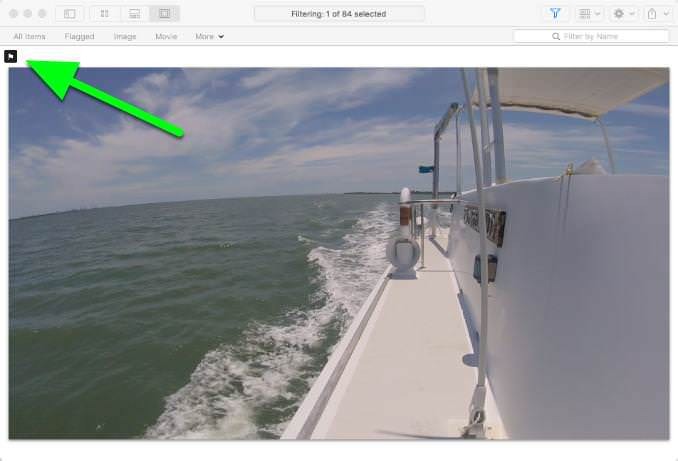 There's also a stage feature, which lets you compare two images or videos side-by-side. And, finally, you can add a side panel that displays an inspector window with EXIF information about the file or the imported folders available to view. And all of these views will also work in full-screen mode for when you want to go big and uncluttered. In addition to the basic play, pause, fast forward, and rewind controls, there are some nice touches here. You can go back 2 seconds or 5 seconds and have it start playing again from that point automatically. You can play forwards or backwards at half speed, quarter speed, or one-eighth speed, or move frame by frame. The slowed-down speeds are especially handy if you're shooting with the intention of creating slow-motion footage. The overlay disappears after a couple of seconds once you move the cursor off it. There's also a dark mode, if you prefer that. And if you want to remove the filmstrip from the bottom, you just switch into focus mode. And something that comes in particularly handy with GoPro footage is that there's a simple Rotate 180 degrees option if you've shot with the camera upside down without adjusting the camera's settings accordingly. You just click on the gear icon and then choose the option from the drop-down menu. There's also an "export frame as image" option right below it. You can also flag items as a way of making selections. And you can remove files from the view by hitting the delete key. 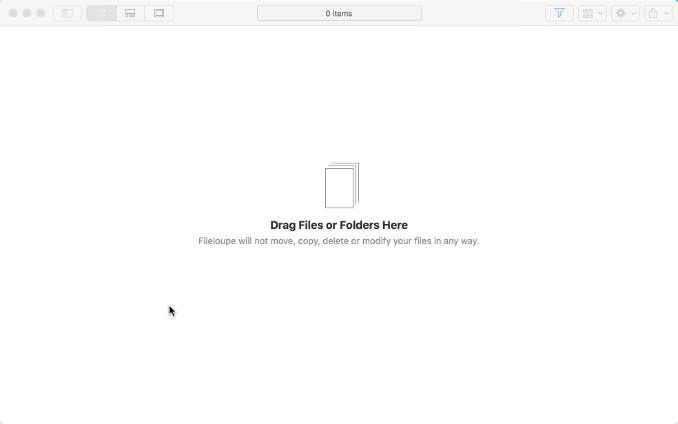 That doesn't actually delete the original files--it just removes them from the view in Fileloupe. There's also a sharing function which allows you to send the photo or video directly to selected social media or other services. There are a number of preferences you can control, from the default view when the app opens to controlling caching behavior. 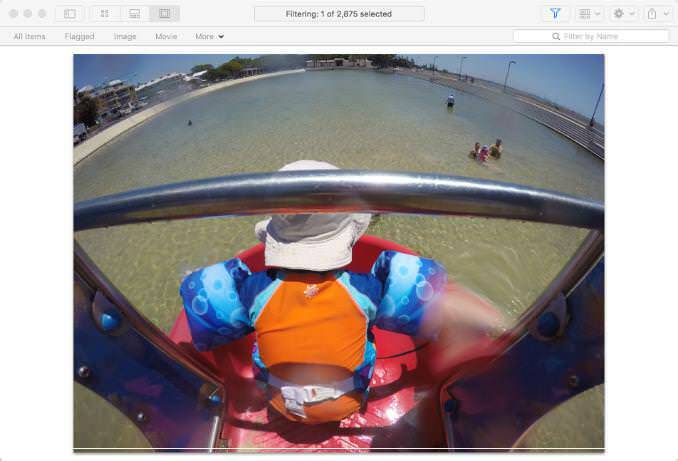 It's worth emphasizing that Fileloupe is for viewing your GoPro photos and footage, not for editing them. 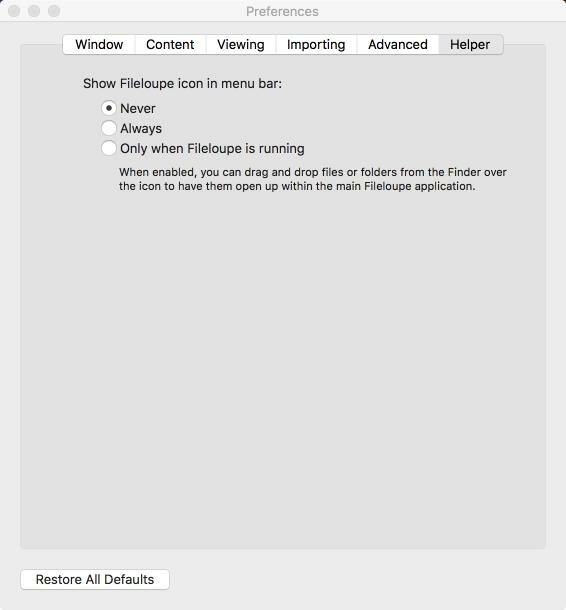 As it says right on the opening screen, "Fileloupe will not move, copy, delete or modify your files in any way." 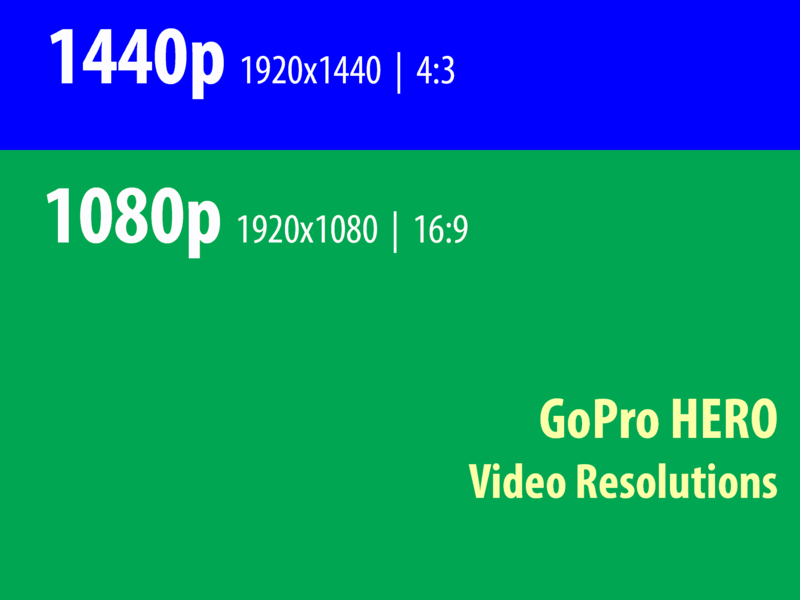 So you can't tweak a photo's colors or trim a video, for instance. It's also not designed for file management in the usual sense. If you're trying to reorganize the files into folders or do things like renaming or copying or editing metadata, you'll be better off using something else. 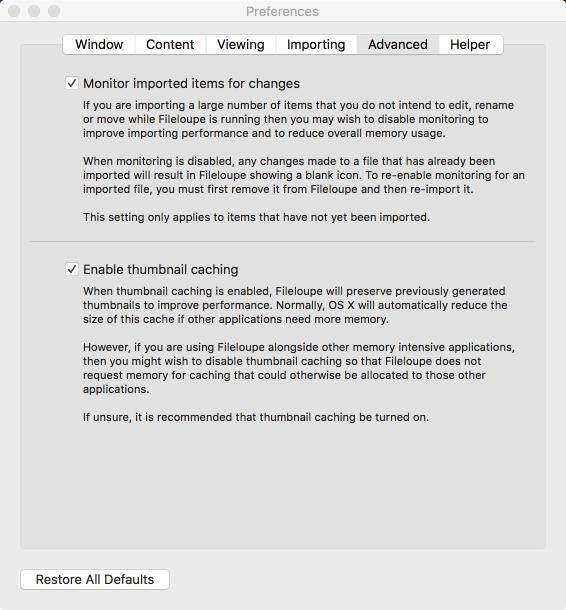 And while Fileloupe uses the term "import," it's not the same thing that Lightroom, Aperture, or other catalog apps do. 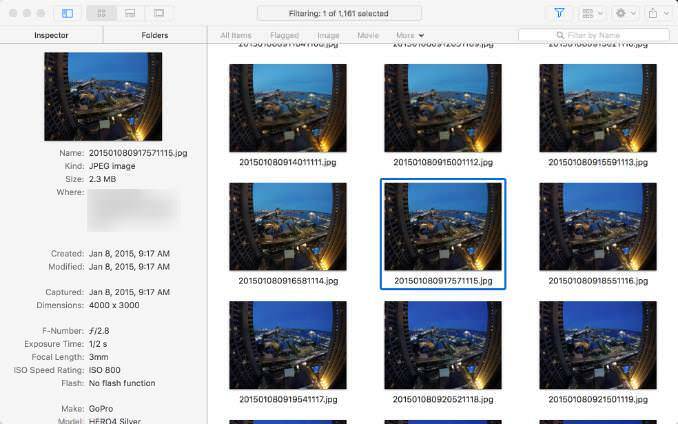 Essentially, in Fileloupe's case it makes the files available in Fileloupe and generates and caches thumbnails (if you have that option on). But it's not a persistent catalog or database of the kind that Lightroom or Aperture use, and when you close Fileloupe and reopen it will start fresh. 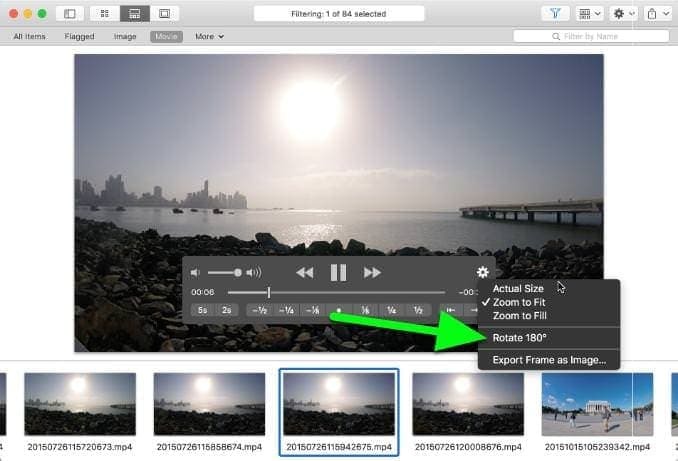 Most of the functions available in Fileloupe are already available elsewhere, whether it's the thumbnail viewing and browsing of Finder or the playing and viewing functions of Preview or any number of third-party viewing apps like VLC. 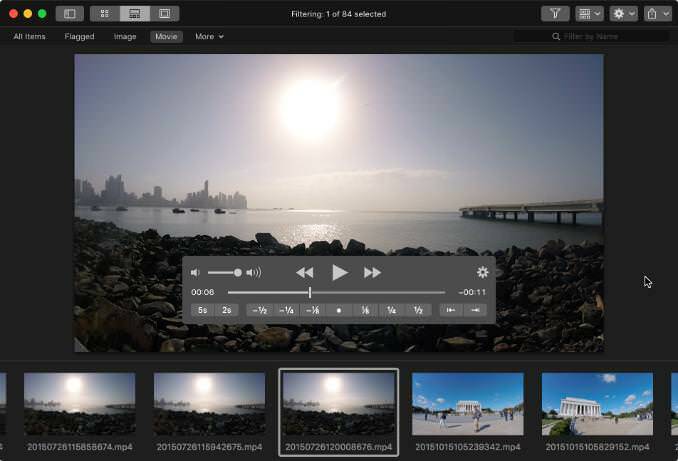 And, of course, there's also GoPro's own Studio software that's free and offers sophisticated editing functionality that isn't available in Fileloupe. But while GoPro Studio is cheaper and more powerful, it's also slower and more cumbersome to use. PhotoMechanic is also very fast and is much more powerful, but it's also much more expensive. Lightroom is much more powerful--at least for photos--but because it's built on a catalog, it's much slower for ingesting photos and its video support still isn't great. And it's much more expensive. 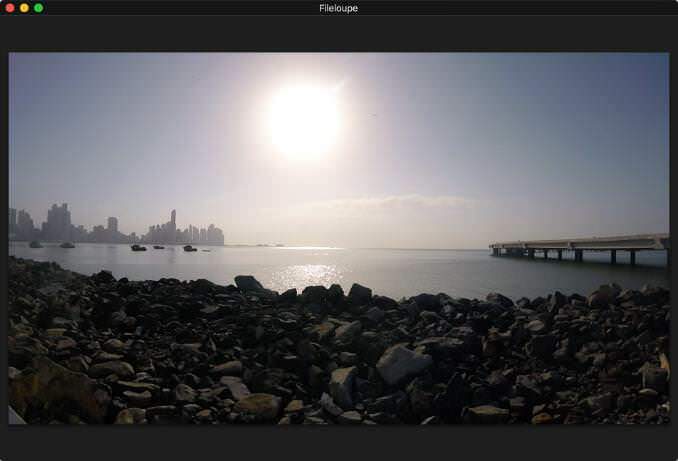 Adobe Bridge overlaps many of Fileloupe's capabilities--and adds more besides--but it's typically designed to be used with other Adobe apps like Photoshop or Illustrator, making it an expensive package. But there are two main attractions of Fileloupe that make it stand out. 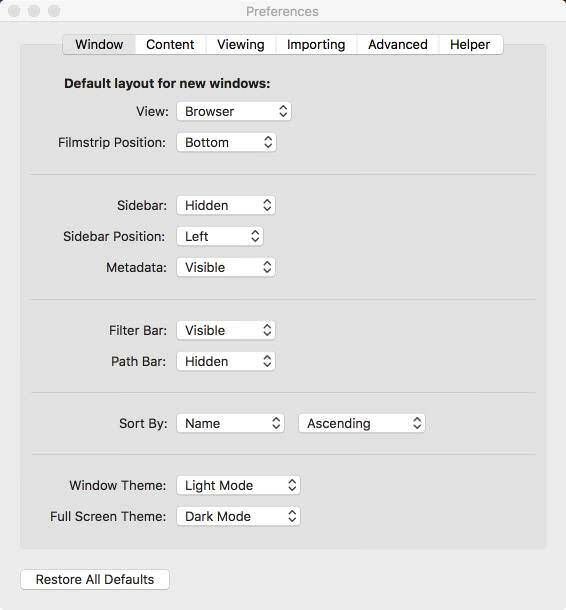 The first is that it brings together a bunch of the common viewing and browsing functions in one lightweight package. 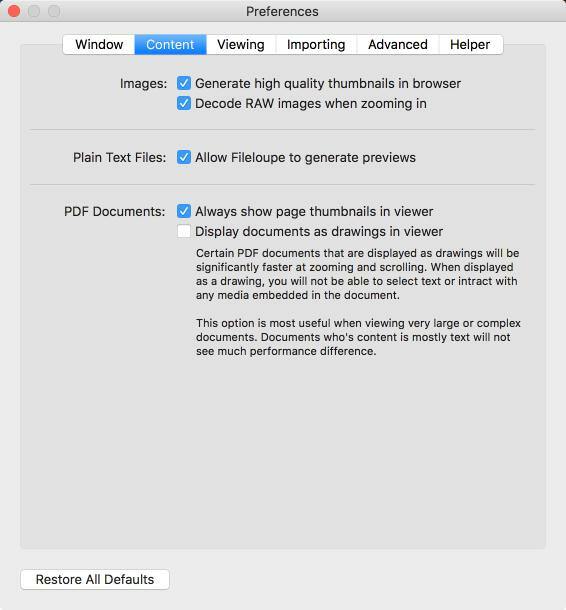 So instead of using Finder and Preview, you can do it in one app. The second is that it's fast. Very fast. 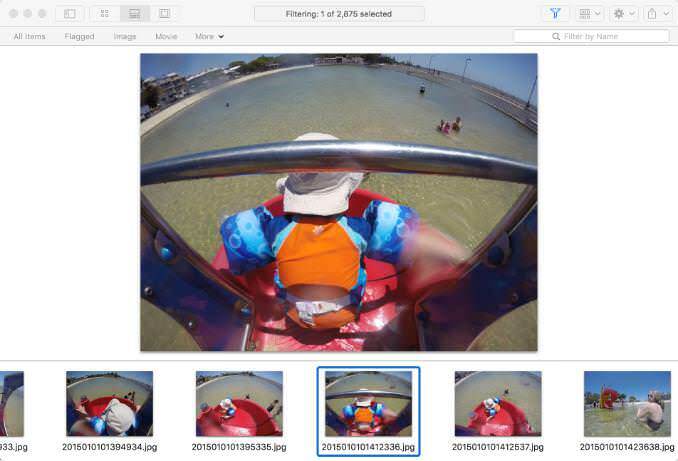 It views and generates thumbnails of images quickly. But most importantly, its playback of video footage is quick and smooth. 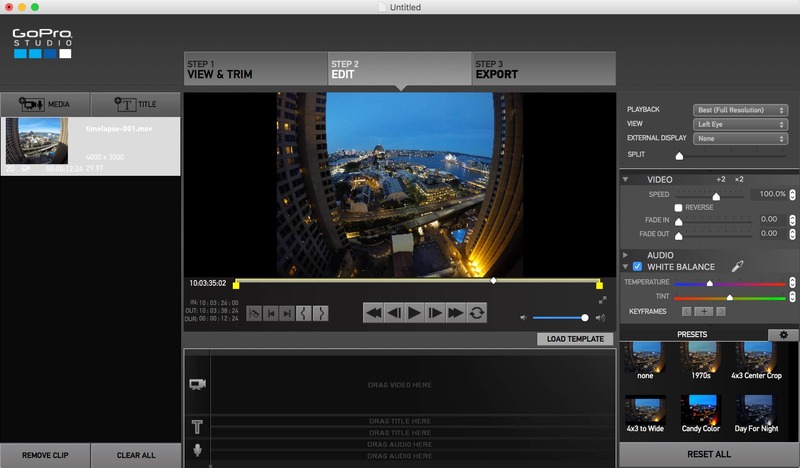 Even Lightroom can struggle with high-resolution mp4 footage. 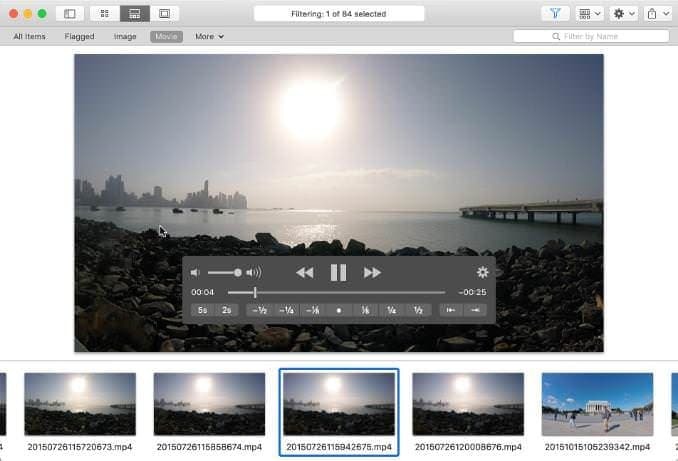 But Fileloupe handles even 4K video easily, quickly, and smoothly. 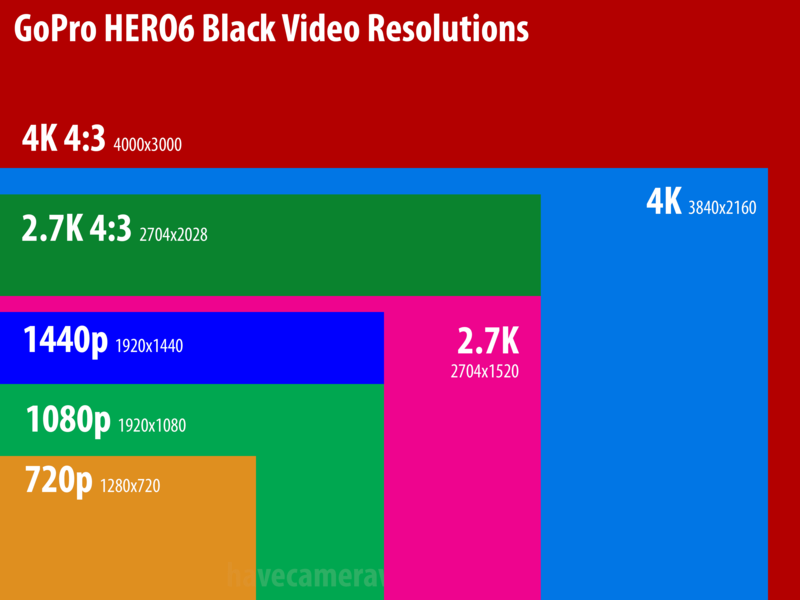 I tested it with the high-end video modes from the Black models, including 4K30 and 1080p120, both with ProTune on, and the playback is smooth and responsive. 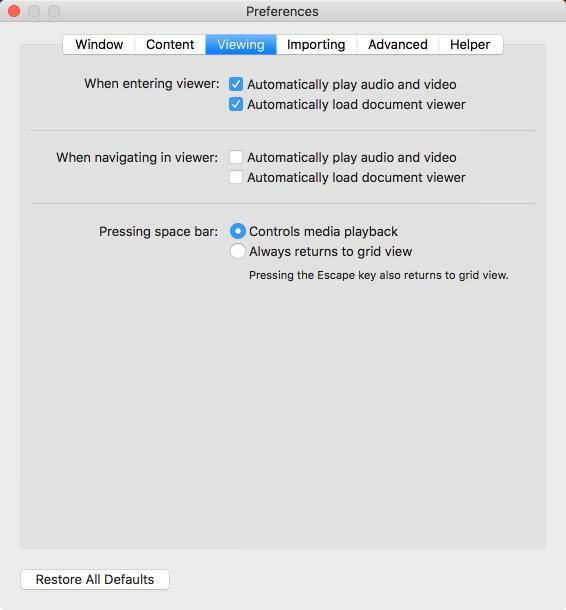 It's as quick as Mac OSX's native preview or PhotoMechanic, but it offers much more useful video controls. 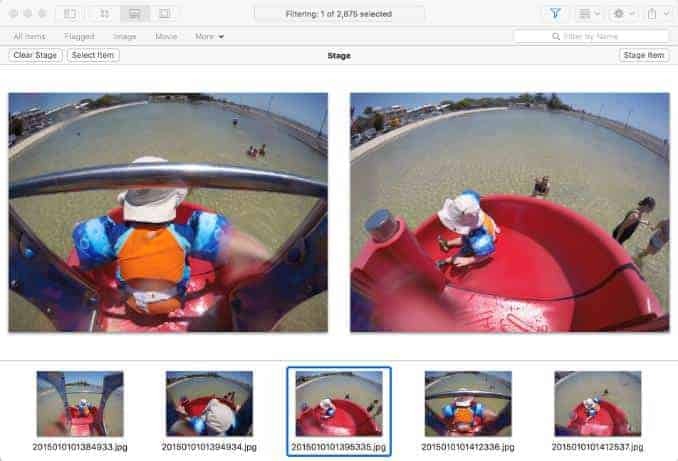 In fact, it's the way that Fileloupe lets you view and sort through GoPro video footage that is the real killer feature for me. And finally, at $14.99, Fileloupe is priced much more attractively than some of the other apps. You can buy it in the Mac App Store, and there's also a free trial version available directly from the app's website. It's only available for Mac. Fileloupe doesn't do everything, but what it does it does very fast. 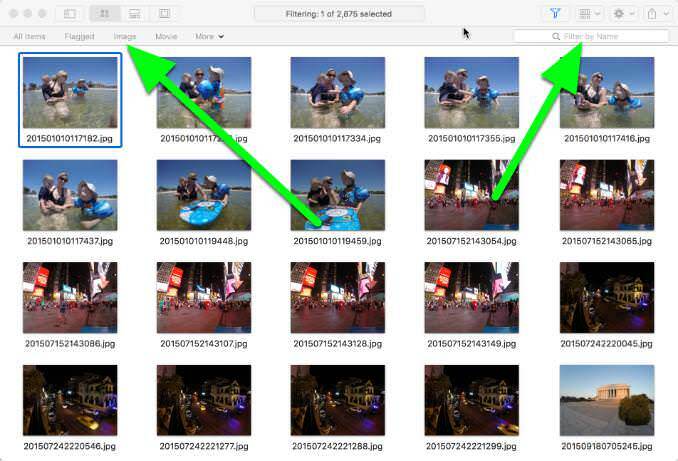 And if you're regularly working with large numbers of GoPro photos or video clips, it might make the tedious process of finding the keepers that much quicker. 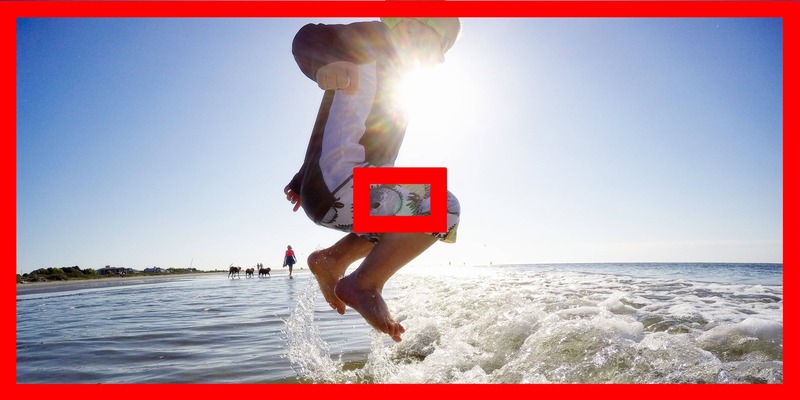 Why Is the Video Being Cropped When Using GoPro's Video Stabilization?